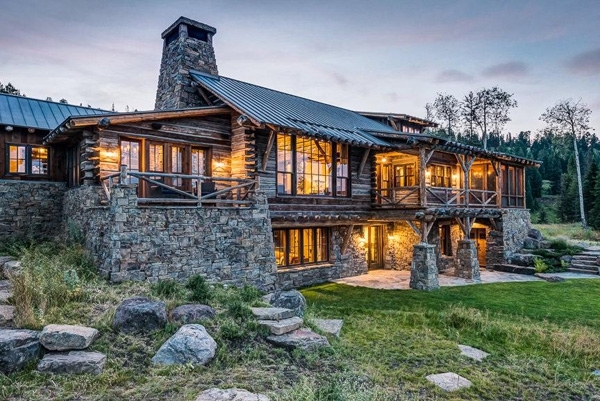 Amid the cold winter days we’re in, doesn’t a beautiful home like this sound like just the ticket to escape the freezing temps? 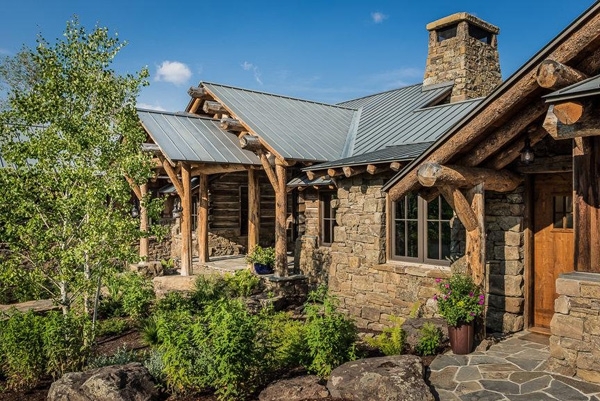 We are absolutely in love with this charming rustic house; it’s a perfect showing of what modern design can do with more classic types of homes. 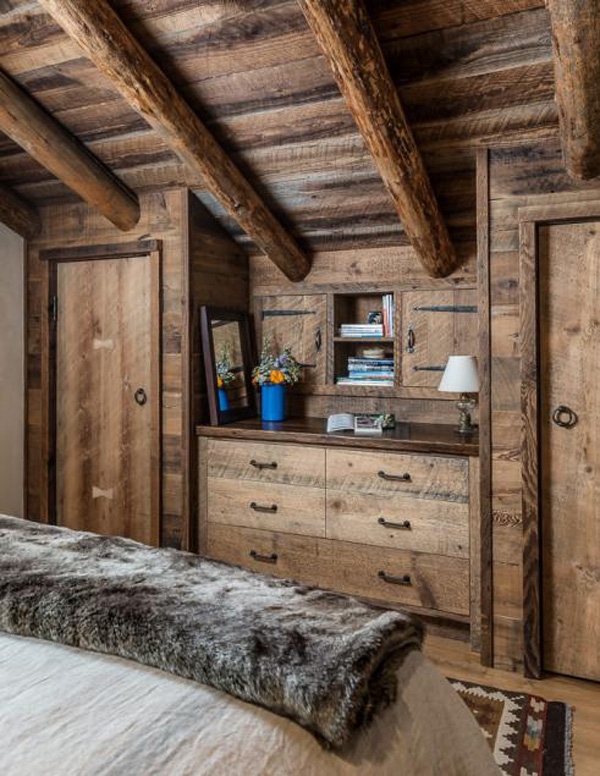 The ‘Ansel Haus’, designed by Miller Architects in collaboration with On Site Management, is tucked away in Big Sky, Montana. 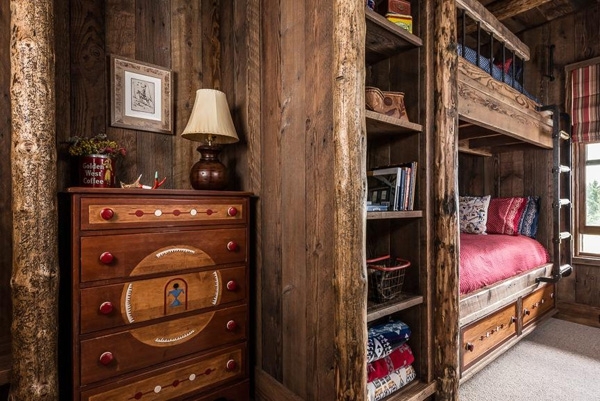 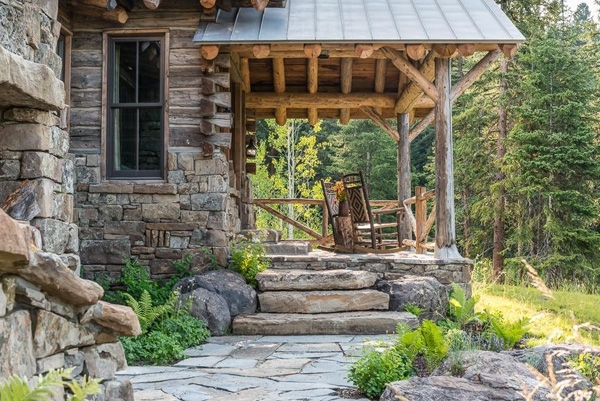 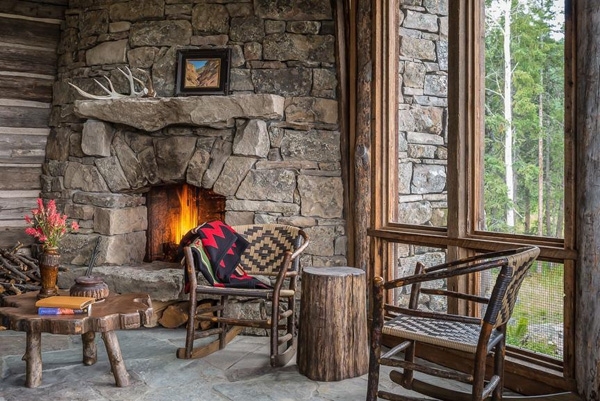 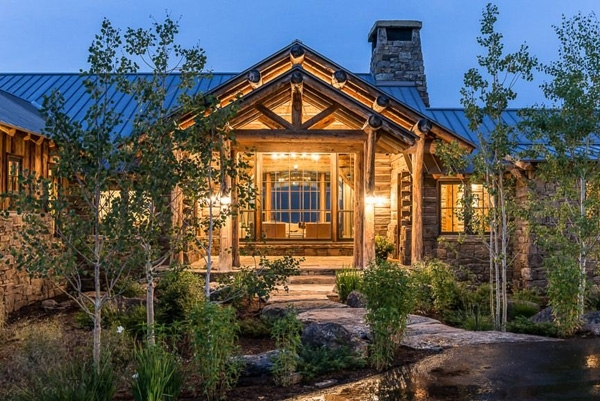 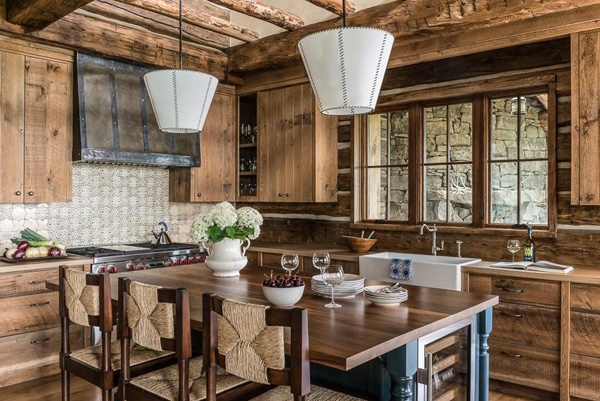 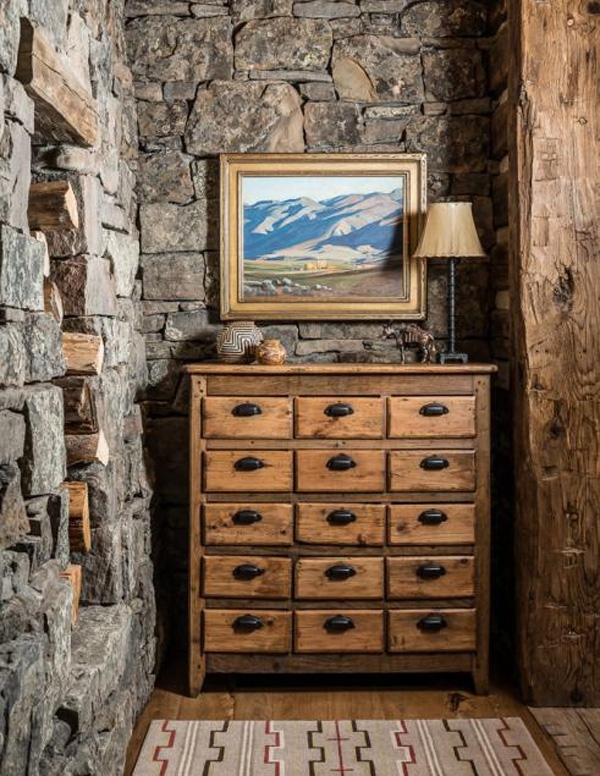 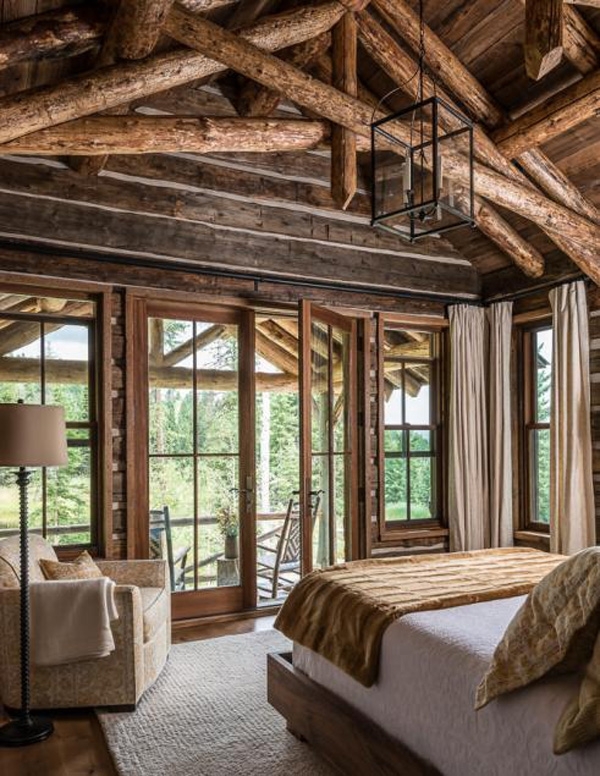 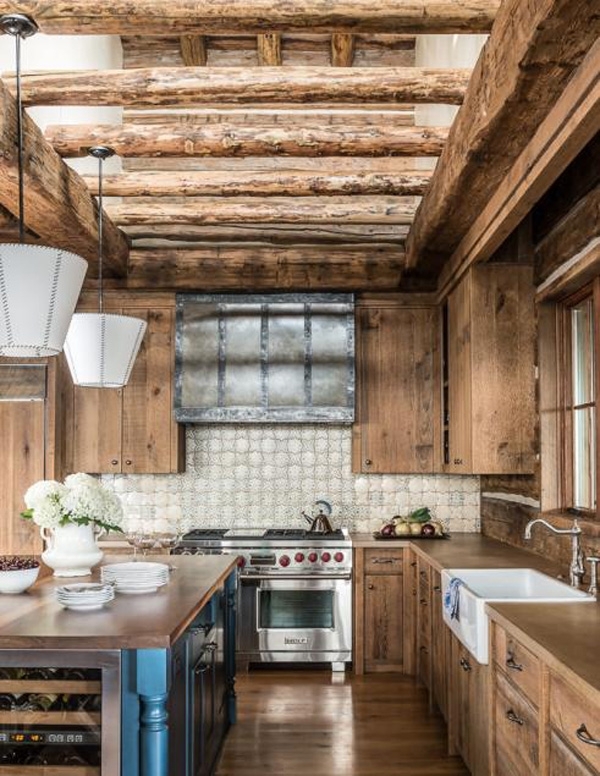 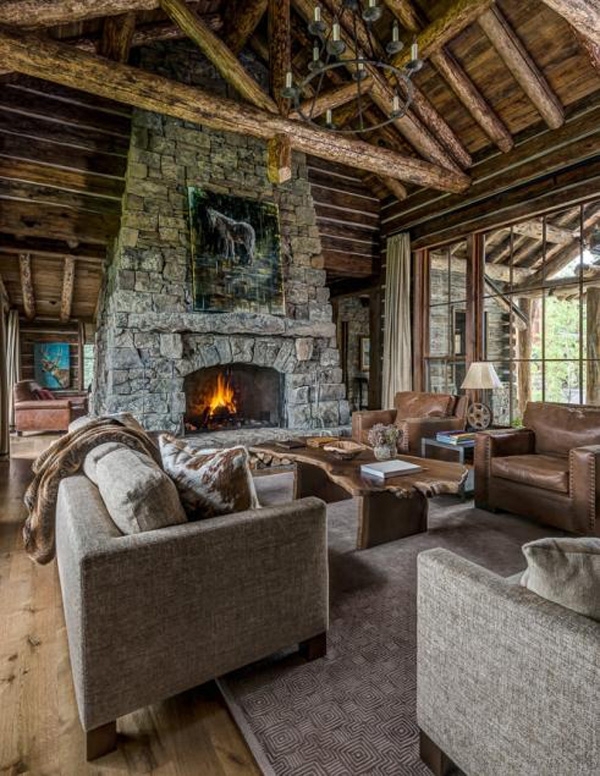 Using primarily log, timber and stone, this is a log cabin made of dreams. 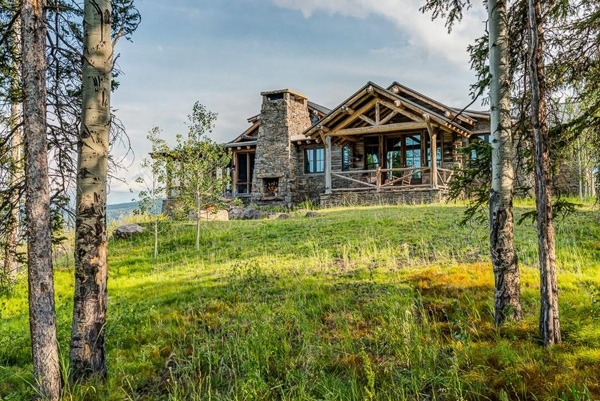 The exterior already presents itself as a very contemporary take on the classic; you’ll notice the tiered roofing, stark contrasting in materials, and an abundance of windows. 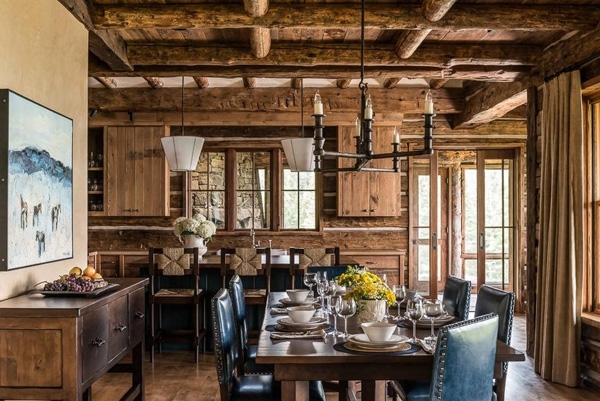 The interior is a seamless continuation of the exterior elements. 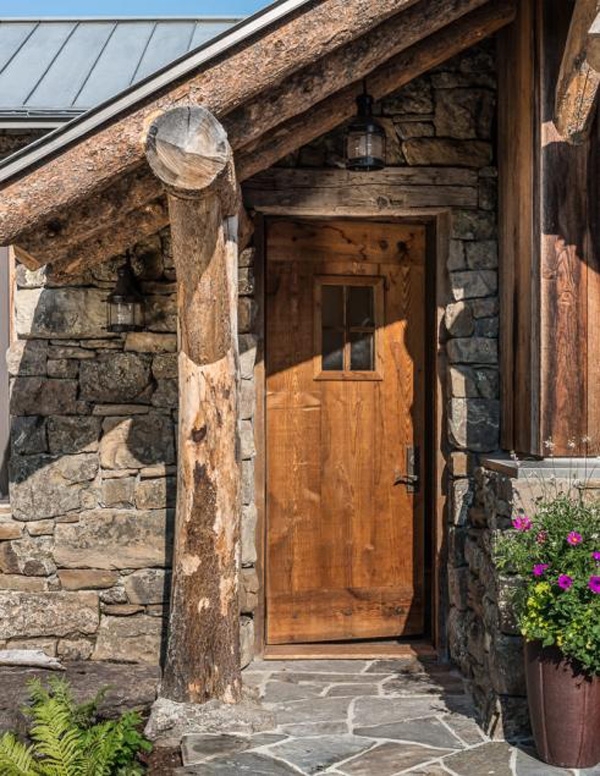 The log, timber, and stone all make up the interior design of each room, creating a very warm and inviting environment for the family. 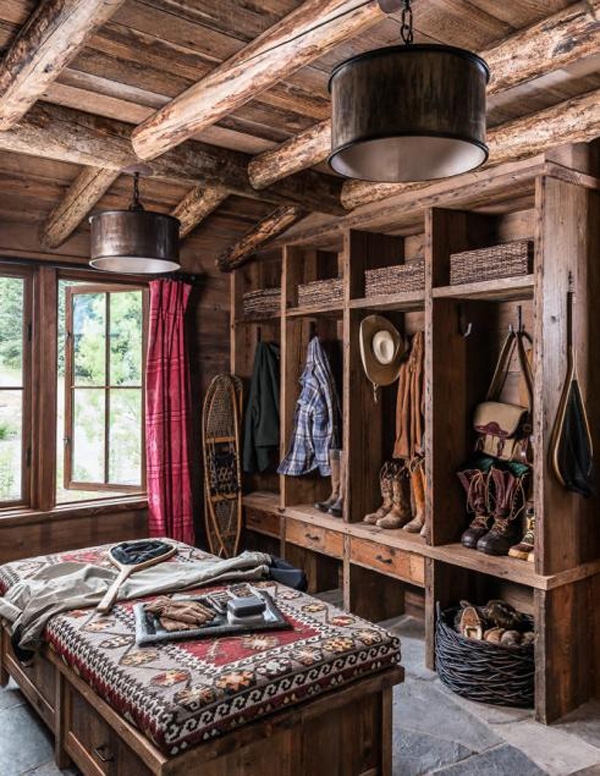 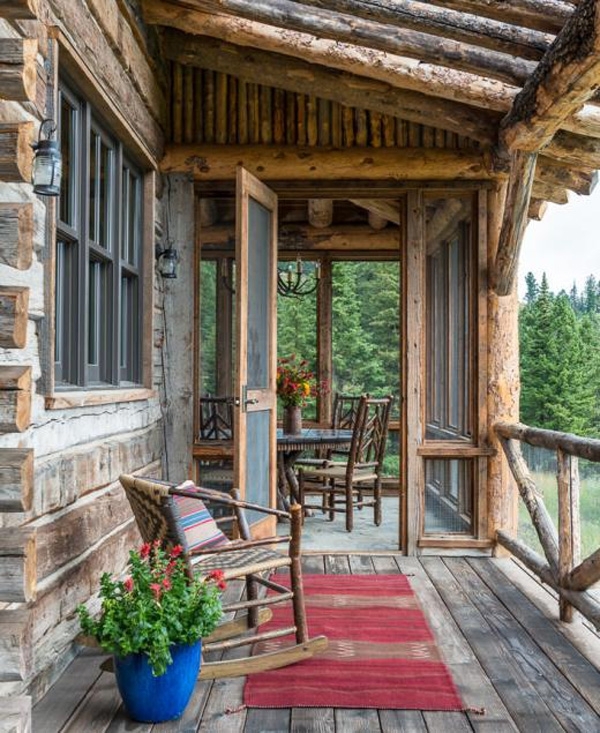 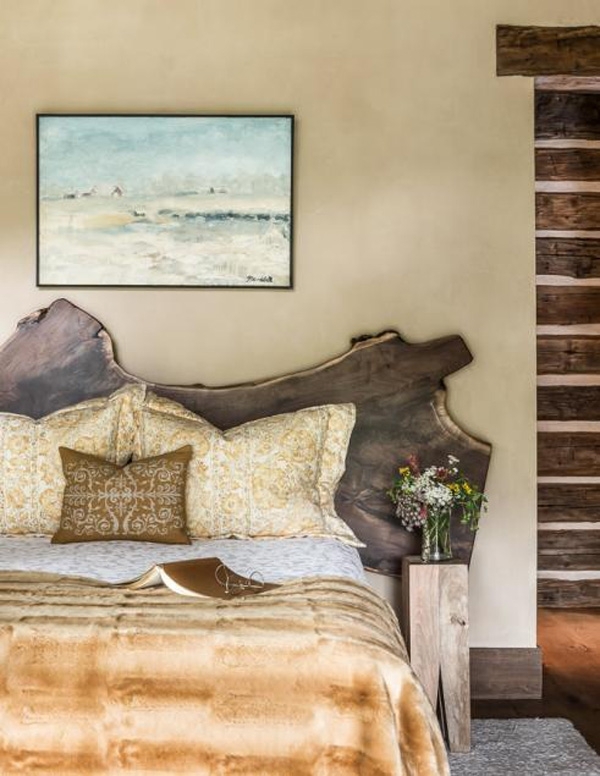 The southwestern touch adds even more depth to this charming rustic house. 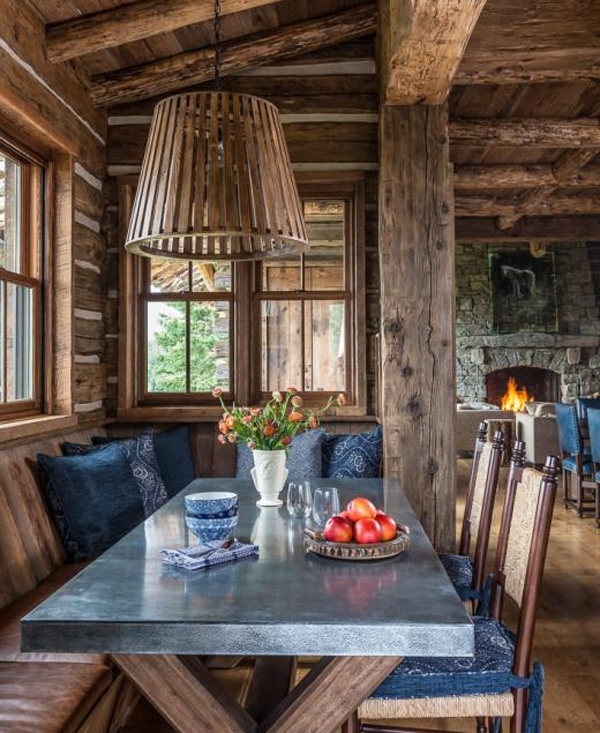 While a majority of the furnishings are more so on the neutral side, we love the pops of blue and red throughout the home. 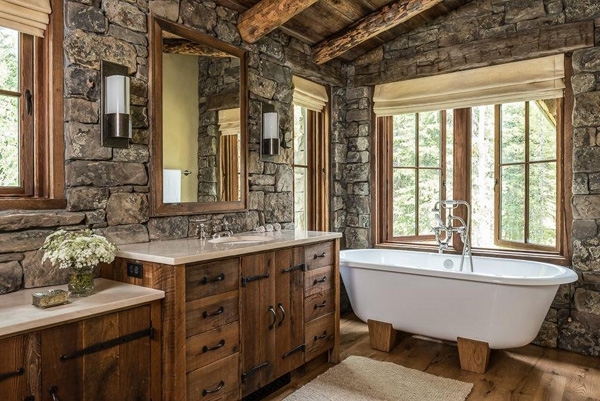 This helps brighten up each room that much more, especially when the natural light in shining in.